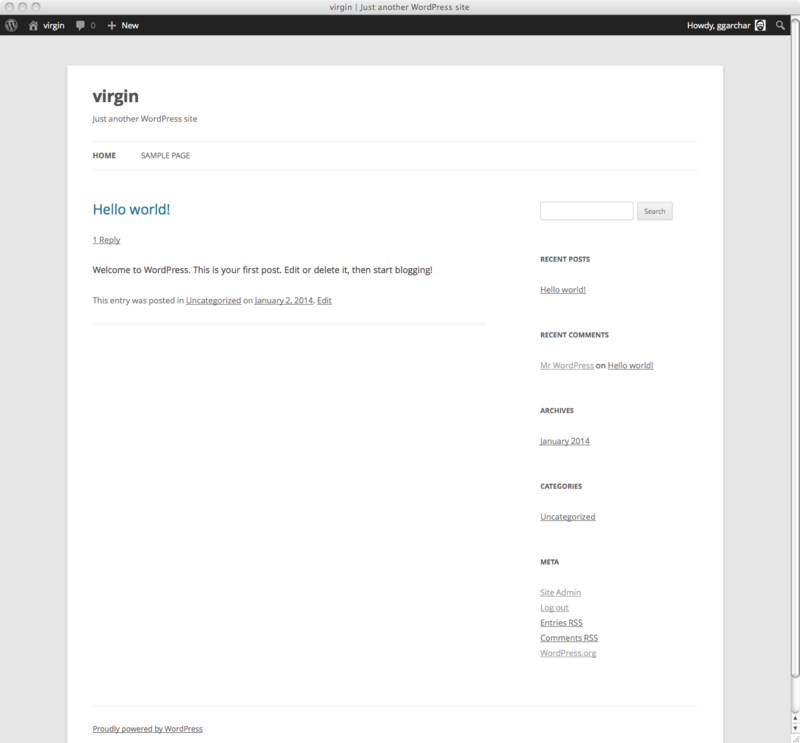 A header image is not part of the default layout, but can be added easily. Also, the text string below the post is different, with the Edit link appended to it. Widen the page and the W link reappears in the admin bar, the page menu bar expands out of its button, and the navigation goes to the side. Notice the footer beginning to show. 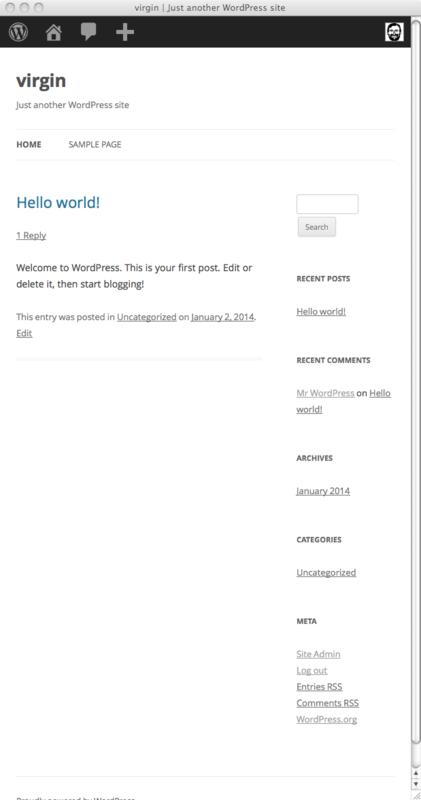 Full width is 1000px, beyond which the margins expand to fill the window.